Driving brand awareness and advocacy for HBO. How can we create a loyalty platform that shows fans that HBO has more to offer them than the shows they already love? 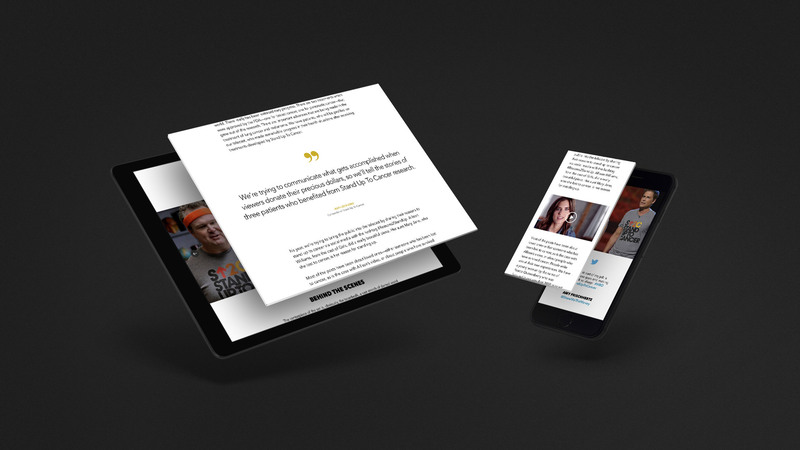 Editorial Revamp: We redesigned the experience to feature bold type and big imagery. 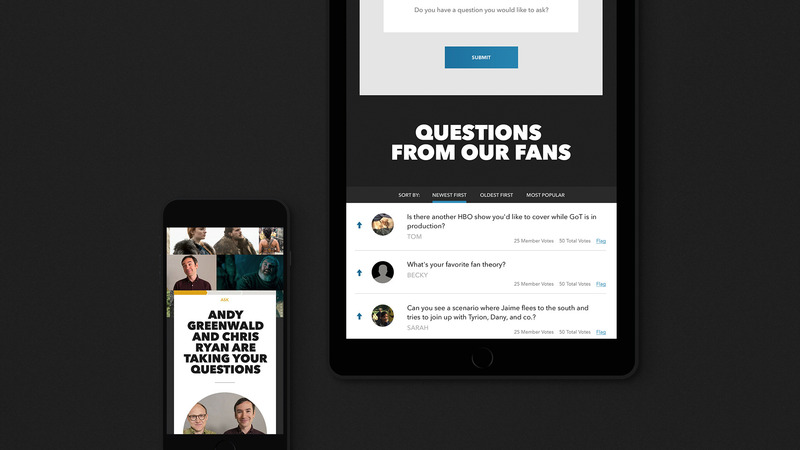 Unparalleled Access: With Fan Q&As, users directly connect with the people behind their favorite shows. Surprise & Delight: We reward fans with premium, personalized experiences, like set visits and screeners. Discover: We created custom templates to feature long editorial content from the creators behind the shows. Fan Polls: HBO Connect lets users influence the actual programming of their favorite shows and specials. 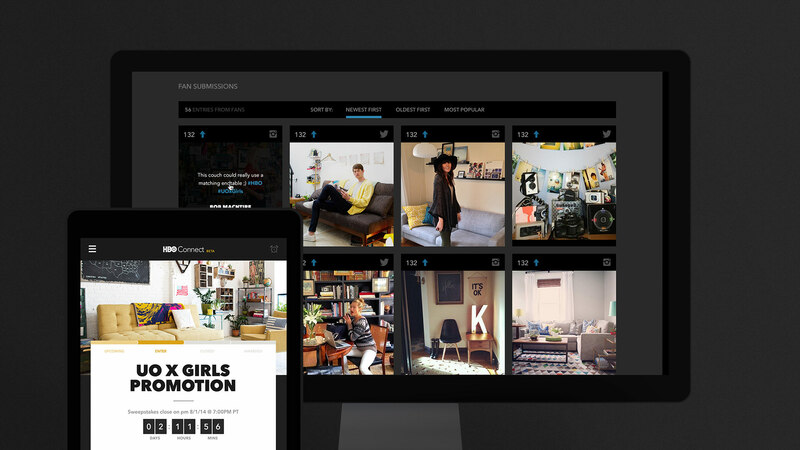 Social Aggregator: Users who upload their own content can win additional rewards and perks. HBO’s trailblazing and original programming has inspired a passionate following—one HBO wanted to thank for all its love. While there is devotion and fervor for individual shows, Firstborn needed to drive awareness and advocacy for the HBO channel by bringing the most loyal and active fans closer to the brand. 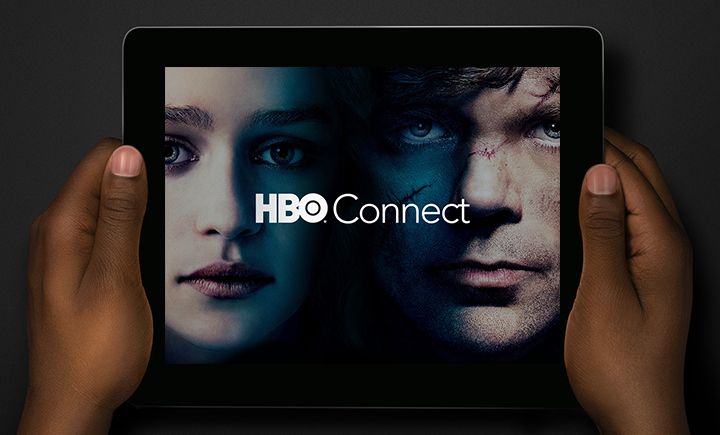 Our solution was to create HBO Connect 2.0, a responsive digital platform that fortifies the HBO brand by developing a more direct relationship with HBO’s most loyal viewers and fans. By creating an open dialogue with members, HBO Connect gives users inside access to content and unique experiences they can’t find anywhere else. The entire platform runs on a business intelligence solution. It delivers a proprietary “surprise and delight” algorithm that follows fan interactions finding the most devoted users and matching them with the best perks—like VIP tickets to special events, advanced screeners and other premium experiences only HBO could dream up. 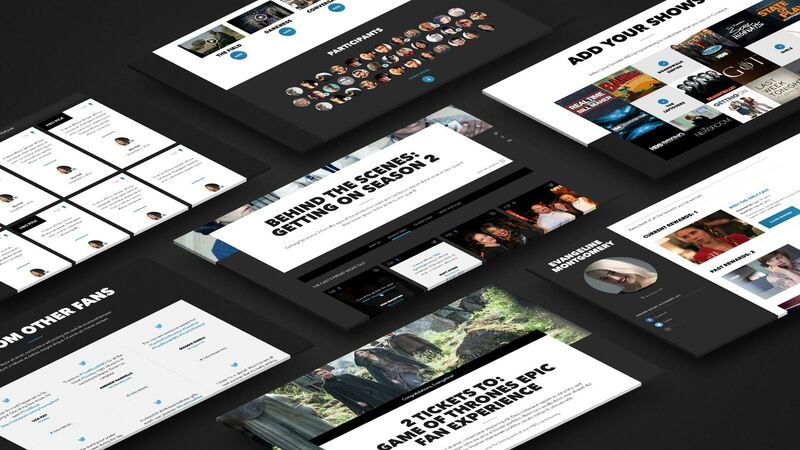 To help HBO support and interact with this vibrant community, Firstborn also custom-built a powerful CMS to give HBO the ability to swiftly add and update new content for the fans. 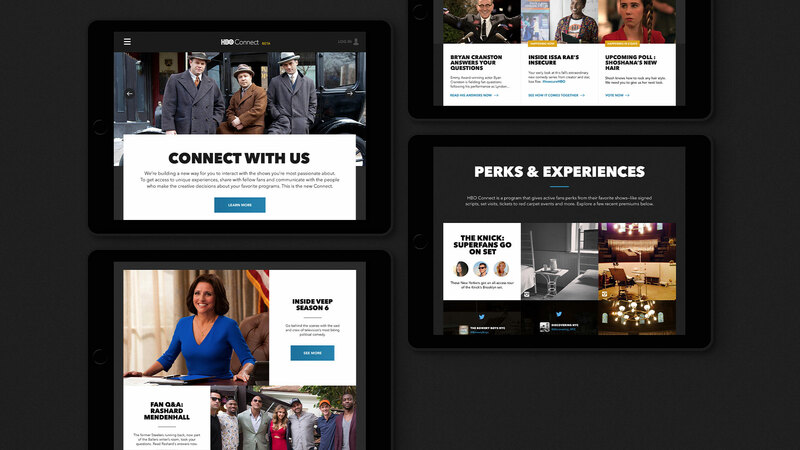 From the mobile-first design to the long-term staffing model, we created a platform that brings fans together and introduces them to the best that HBO has to offer. The platform delivered loyalty data that helped identify the "right" kind of new customer and the types of marketing initiatives that work best to reach this target audience. By rethinking loyalty and rewards to be more reflective of HBO, we’ve reinforced the brand and built equity through the platform. HBO’s trailblazing and original programming has inspired a passionate following—one HBO wanted to thank for all its love. While there is devotion and fervor for individual shows, Firstborn needed to drive awareness and advocacy for HBO by bringing the most loyal and active fans closer to the brand. To better understand the fan devotion, Firstborn conducted various forms of user research, including social listening, to get inside the minds of HBO super fans—tuning into their conversations and exploring existing fan communities. This research informed the design and development of HBO Connect 2.0. 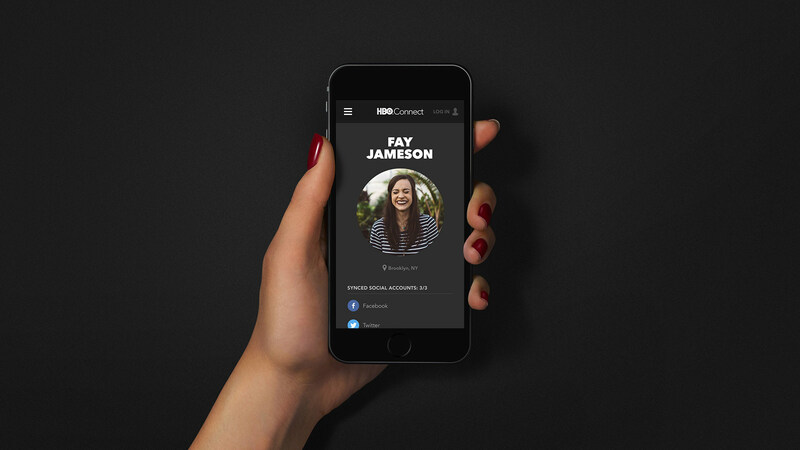 HBO Connect 2.0 is a brand advocacy platform that gets viewers up close and personal with the shows, stars and HBO execs that make killer entertainment possible. By creating an open dialogue with members, HBO Connect gives users inside access to content and unique experiences they can’t find anywhere else. The entire platform runs on a business intelligence solution that delivers a proprietary “surprise and delight” algorithm that follows fan interactions to find the most devoted users and match them with the best perks—like VIP tickets to special events, advanced screeners and other premium experiences only HBO could dream up.